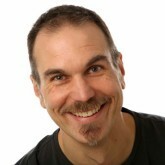 Roman Pichler is a leading agile product management expert, and the founder of Pichler Consulting. He has more than 10 years experience in training and coaching product managers and product owners. Roman has a long track record in helping companies apply agile product management practices successfully and in helping businesses establish an effective product management function. He is the author of the book “Agile Product Management with Scrum“, he has created several powerful product management tools, and he writes a popular blog on product ownership. Product roadmaps are powerful tools: they paint a rough picture of how a product is likely to grow over time. But applying them in an agile context can be challenging: How is it possible to create a realistic roadmap when markets and technologies change frequently and unexpectedly? How can we build a longer-term plan when agile teams commit to no more than four weeks? How do the product roadmap and the product backlog relate? Who should be involved in roadmapping activities and who owns the roadmap? My talk answers these questions and shares practical tips to use agile product roadmaps successfully. General Commercial Terms and Conditions and want to purchase ticket. If you wish to pay with credit card, click here.